"Flandria et Zeelandia Comitatus". Orig. copper-engraving by W. Blaeu, published ca. 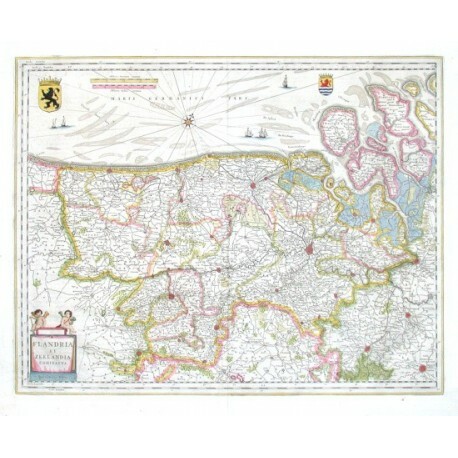 1635. Coloured. With ornamental title-cartouche with two cherubs, 2 coats-of-arms, ships and "Milliaria Germanica ... Gallica communia". 42:53,5 cm (16 1/2 x 21 inch.). Koeman II, map 3200:2, ed. 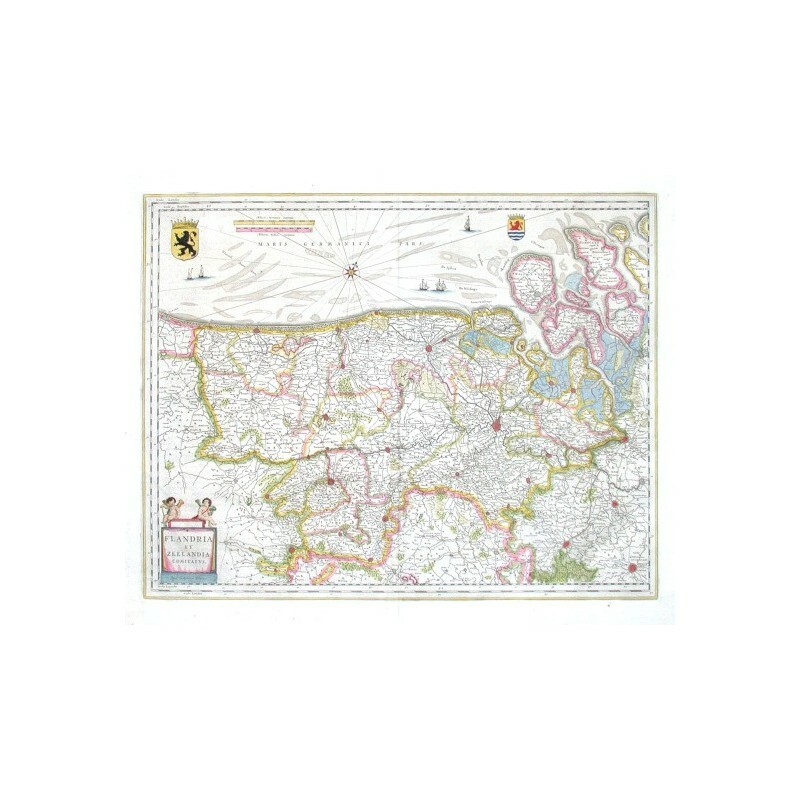 2:201 (1640-43 Latin) - Decorative map of Flanders and western part of Zeeland (Oostende, Brugge, Lille, Gent, Bruxelles, Antwerpen ...).